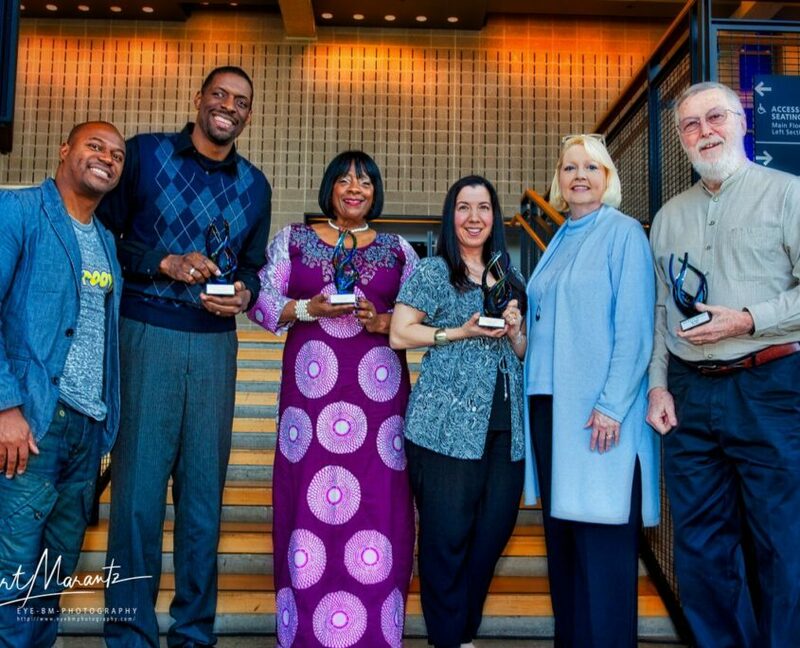 Here is where you should describe the Jazz Legend Awards, how they are chosen, when they are given out, and why they are important to the Dallas Jazz scene. Sandra Kaye honed her act in a dark, little bar in Dallas called the Hideaway, but she’s not hidden now – her talent us known around the world. 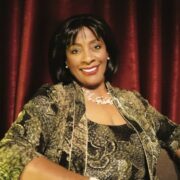 Whether performing live, on radio and television, or in the recording studio, Sandra has earned applause for her delivery of jazz, R&B, and other musical styles. She has opened for artists ranging from Monty Alexander and Dionne Warwick to Patti Austin and The Platters. For five years, she was the resident vocalist at the famed Long Bar in the Waldorf Astoria Shanghai. Locally, Sandra has performed at venues ranging from the Dallas Museum of Art to Globe Life Park and with a who’s who of local performers. When Teddy Davey stepped offstage for the first time (he was four years old), he declared, “This is what I want to do all my life!” After Establishing himself as an award-winning member of the DFW theater scene, he moved to Laz Vegas to perform in showrooms and lounges throughout the Vegas Valley. Unlike many who got to Vegas, Teddy came out a winner, with countless fans and an amazingly talented wife, Lorena. His return to Dallas resulted in another win for him and the community, The Balcony Club, a unique venue popular with both artists and music lovers. Teddy passed away December of 2016, but his generosity and impact on the local music scene lives on. Relentless practice and the desire to achieve are the trademarks of saxophonist Quamon Fowler. A standout in high school, he studied with Tom Burchill at Weatherford College and Alvin Batiste at Southern University in Baton Rouge. It was Batiste who encouraged Quamon to produce an independent CD, a project that combined straight-ahead jazz and soul to create his own person sound. The hardworking Quamon gained attention as a young composer and touring performer, including taking home an ASCAP Foundation award twice for his compositions. He is a performer, composer, and educator who still blazes new trails on and off the stage. Dallas native Andrew Griffith is a product of the prestigious music program at the University of North Texas. His professional gigs, however, started much earlier — in fact, right after graduating from Dallas’ famed Booker T. Washington High School for the Performing & Visual Arts. 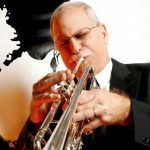 Mr. Griffith has performed with many great local and internationally-known musicians, including Joey DeFrancesco, James Gilyard, Roy Hargrove, David “Fathead” Newman, Sandra Kaye, and Roseanne Vitro. 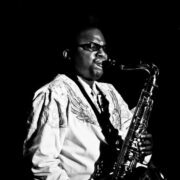 He credits his friend and mentor, the late great saxophonist Marchel Ivery, with helping him develop as a musician and person. Named the Sammons Jazz Artist of the Year in 2004, Mr. Griffith is a “go-to” drummer who balances a busy schedule of performing and teaching. Dean Hill is in his 21st year as band director at Yvonne A. Ewell Townview Magnet Center and his 40th year of teaching within Dallas ISD. Recognized for his ability to produce outstanding musicians and bands, he has been named Teacher of the Year at John Neely Bryan Elementary, O. W. Holmes Middle, and Yvonne A. Ewell Townview Center High School. Under his leadership, the Townview music program has grown in size and quality, consistently winning local, regional, and state awards and earning the attention of colleges and universities throughout the nation. Widely recognized as a jazz percussionist and composer, Mr. Hill has produced many young artists, such as his own son, Stacey Hill, Robert Searight, Braylon Lacy, and Roy Hargrove. His commitment to the development of his students is the guiding force of his work. Tony Hakim has been a positive music force in the Dallas-Fort Worth jazz scene for more than 25 years, playing in solo performances and collaborations. 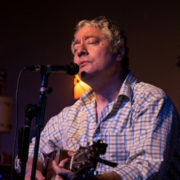 His mellow guitar styles and winsome vocals have earned critical praise and a devoted international following. Mr. Hakim’s mastery of styles that range from Brazilian jazz and easy listening to the pop music of the 1960s and 1970s has made him a first-call musician at social and corporate events. In 2012, his creativity took an equally crowd-pleasing turn when he opened the popular Kitchen Café on Preston Road in North Dallas. Mr. Hakim’s skill as a restaurateur and caterer is top-rate (just ask anyone who has been served his sumptuous food). This attention to detail pairs well with his ceaseless efforts to promote local jazz artists. Fort Worth native Tatiana “LadyMay” Mayfield has been singing and playing jazz since she was 13 years old. She credits her mother, a Nancy Wilson fan, for giving her the jazz bug. One of 12 semi-finalists in the Thelonious Monk International Jazz Vocals Competition, Ms. Mayfield has earned rave reviews and awards for her voice and persona. She has opened for music luminaries such as Kirk Whalum, Bobbi Humphrey, and Randy Brecker. A natural at scatting and an international radio favorite, reaching listeners in Europe, Nigeria, and Brazil, her talent is not limited to refreshing vocals; she also plays piano and trombone, composes, and teaches. .Oh, and why is her stage name LadyMay? Her friend Darwin Martin called her that every time he saw her, and the name stuck. The name James Gilyard is attached to many things related to jazz — bassist, composer, producer and lecturer. His early music career included three years in the Army Field Artillery Band. Sought after for his solid and sensitive accompaniment, he has performed with artists such as Kenny Burrell, James Clay, Red Garland, Carla Cook, David “Fathead” Newman, Roy Hargrove, Melvin Sparks, Melba Moore, and Roseanne Vitro to name a few. Voted Sammons Jazz Artist of the Year in 1998, the Oklahoma native would serve as the artistic director of Sammons Jazz from 1999 to 2011, creating many innovative programs such as the Sammons Jazz Youth Program. Sharing his talent in other ways, he formed the Generativity cooperative to produce recordings and channel proceeds into projects for other artists, benefiting more than 20 artists to date. Kent Ellingson has been a part of the North Texas music scene since arriving to the area in the early 1980’s. A graduate of the University of North Texas, Kent has performed in jazz groups for years and played in concert with many jazz greats, including Randy Brecker, Kevin Mahogany, Clark Terry, and Greg Bissonett. 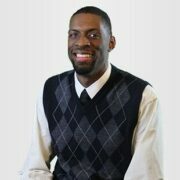 Kent is a full-time music instructor at Dallas ISD’s famed Booker T. Washington High School for the Performing and Visual Arts (BTWHS), teaching AP music theory and jazz piano and leading the jazz singers group. He headed BTWHS’s music department from 2004 to 2009 and also taught at Woodrow Wilson High School. 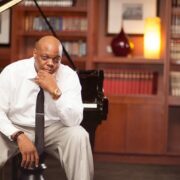 Today, in addition to grooming future jazz stars at BTWHS, Kent teaches jazz piano at Collin College in Plano and Eastfield College in Mesquite, where he was featured in a solo jazz piano concert last summer. 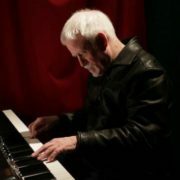 An accomplished guitar player and businessman whose love of jazz grew from hosting concerts at his home to co-founding the Dallas Jazz Piano Society (DJPS) in 2010, Jim Callaway is the consummate jazz supporter. 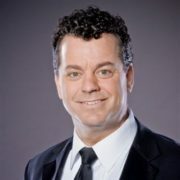 Through DJPS, he provides a unique performance opportunity for top local jazz artists at the Sammons Center for the Arts (where he served on the board of directors). Concert proceeds are combined with private donations to support DJPS’s Keys4Kids program, which provides scholarships for lessons and even keyboards to area children who have a demonstrated need and desire to learn music. His mission? Adding to the cultural experience and music education of local youth. 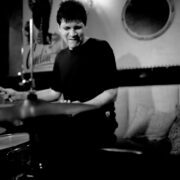 Ohio native Dave Zoller decided in his late teens to let his love affair with jazz, R&B, and pop music become a full-time music career. 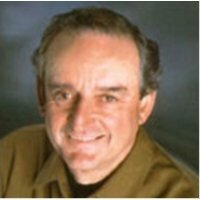 After moving to Dallas from Kansas City, MO, in 1969, he became involved in the legendary Dallas jingle scene for two decades, both as a player and writer. He has written over 1,600 music tracks, created a library of original jazz charts for big bands and small groups, and toured/recorded with jazz legend Al Hirt. Zoller currently fronts several groups, including Evidence/Music of Duke Ellington & Billy Strayhorn and a quintet dedicated to the music of John Coltrane. He also co-leads RIO! with vocalist Nina Katrina, performs in duo and trio formats, and backs vocalists such as Carolyn Lee Jones, Drenda Barnett, and Diana Gale. He was named Sammons Center Jazz Artist of the Year in 2009. 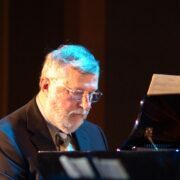 Bart Marantz, former director of Jazz Studies at the Booker T. Washington High School for the Performing and Visual Arts (BTWHSPVA), is an internationally-recognized educator author, clinician, composer, and arranger who has performed with Ray Charles, The Glenn Miller Orchestra, Nancy Wilson, and Gladys Knight and the Pips among other artists. In 1989, Bart was one of just ten directors selected to visit the Montreux Jazz Festival, resulting in an open invitation to the BTWHSPVA jazz program to perform at the prestigious European jazz event. Since joining the high school in 1983, the music program has won more than 230 DownBeat Student Music Magazine awards, produced 17 albums and 22 jazz recordings, and graduated some of the nation’s most-respected jazz artists. He is a member of the DownBeat Jazz Education Hall of Fame and the 2012 John LaPorta National Jazz Educator of the Year. Growing up in Milwaukee with parents who loved jazz, it is no surprise that Rosanne Uhlarik became a devotee of all types of jazz, from Latin to swing to straight-ahead, at an early age. Just like her professional career, however, which encompassed the arts, education, the retail business, health care, and social work, her passion for the arts is expansive. She is fond of dance, theater, and “early” music such as baroque and shows it by supporting jazz and other performing arts organizations as both a volunteer and patron. Deeply appreciative of the wealth of jazz talent in North Texas, she also applauds other arts advocates and encourages everyone to find ways to give back to the community. Jason Davis is a musician, composer, educator, and bandleader whose musical adventure started as a 9-year-old classical clarinet soloist for major civic and state-wide events. The modern-day Texas Tenor Man has performed or recorded with artists ranging from the East Texas Symphony, Judy Collins, and Kirk Franklin to Herbie Hancock, David “Fathead” Newman, and Chaka Khan. Currently, the recording studio manager at The South Dallas Cultural Center, Davis is an energetic performer who also produced hugely successful CD projects for Children’s Literacy, Kwanzaa, Environmental Awareness, and New Orleans Traditional Dance Music. 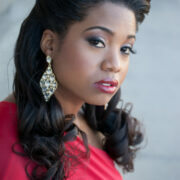 Saxophonist Shelley Carrol hails from a family of gospel singers and musicians in Houston, TX. While attending the University of North Texas (UNT), Carrol earned a spot in the Grammy-nominated One O’clock Lab Band. During the same period, Carrol was invited to join the Duke Ellington Orchestra, an enormous musical opportunity with worldwide exposure. 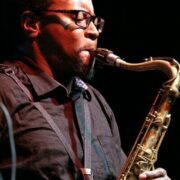 A protégé of the great tenor saxophonist, Marchel Ivery, Carroll shares his musical gift with today’s youth; he currently teaches part-time at West Mesquite High School, gives clinics whenever he can, plans to develop a summer jazz workshop, and introduces young people to jazz at the South Dallas Cultural Center. 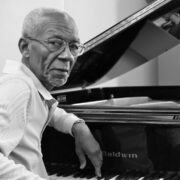 He says” …music has to be shared to truly be enjoyed.” Carrol, honored in 2007 as the Sammons Jazz Artist of the Year, also plays with the Duke Ellington Orchestra, Sheryl Crow, and others, and takes his own quartet to Japan and Europe. 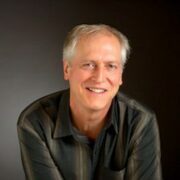 Dan Haerle is a composer, performer, educator, and ambassador of jazz piano. 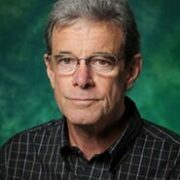 A Regents Professor Emeritus of Jazz Studies at UNT, he has authored instructional material used by thousands of musicians worldwide. He is a member of the International Association of Jazz Education Hall of Fame. The Jazz Education Network recognized him as part of the inaugural class of the LeJENds of Jazz award. Through participation in a variety of educational programs, he has benefitted countless musicians from youth to professional. He continues to teach jazz piano and improvisation at the Dallas School of Music and private online lessons. Haerle has performed with Clark Terry, Pat Metheny, Freddie Hubbard, and numerous other modern jazz leaders, and has recorded multiple albums featuring his own music as well as jazz standards. No stranger to jazz, Wendell Sneed discovered the art form as a Bishop College student. 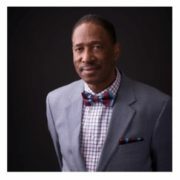 In the 1990s, Sneed became coordinator of DMA’s “Jazz in the Atrium.” Giving the next generation of musicians a chance to perform, Sneed connected some of Dallas’ most important jazz musicians — Marchel Ivery, Roger Boykin and Dave Zoller — and countless others to new audiences via the Atrium experience. When Sneed announced his retirement in December 2013, jazz musicians and vocalists filled the DMA atrium to pay homage to the man who helped introduce jazz to a couple of generations of DMA visitors, including many new museum patrons. Sneed now shares his expertise with young jazz students participating in the Thriving Minds Youth Jazz Orchestra run by South Dallas Cultural Center along with his jazz pals Roger Boykin and Shelley Carrol. 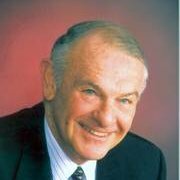 Stan Levenson is a widely recognized public relations professional with decades of community service, including strong support of Jazz. A former chairman of the Greater Dallas Chamber’s marketing committee, Levenson has directed numerous civic initiatives, including the grand opening of the African-American Museum at Fair Park. He served on the boards of the Dallas Arboretum and the North Texas Commission and participated on the President’s Advisory Council of the AT&T Center for the Performing Arts and the Legacy Council at the Sammons Center for the Arts. Levenson has also been active on advisory boards at UNT’s College of Music; the University of Texas at Dallas’ School of Arts and Humanities, SMU’s Perkins School of Theology and, for the past 25 years, Communication Studies at Southern Methodist University. A multi-talented musical artist, producer, educator, arranger, composer, radio broadcaster, and author, Roger Boykin began his musical career in 1955, playing guitar in a blues band while still in high school. He has worked in just about every area of music including: blues, jazz, gospel, and rhythm & blues. He started his own record label, Soultex Records, in 1967 and has produced numerous singles and albums. He currently works as an educator and radio DJ. He is a sought after jazz musician and plays multiple instruments including Piano, Saxophone and Guitar. 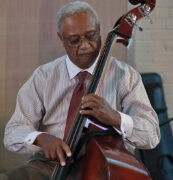 He served as the Artistic Director of the Sammons Jazz series from 1997 to 1999. He has been a driving force behind the jazz music industry in Dallas going back to the Woodman Auditorium and The Recovery Room and was part of the circle of musicians who popularized the “Texas Tenor” style made famous by players such as David “Fathead” Newman and Marchel Ivery. James Wilson has been the inspiring force for thousands of music students. He’s been a band director and taught privately both in Texas City near Galveston and at schools in Dallas. Among some of his famous students are internationally renowned jazz trumpeter Hannibal Lokumbe and nationally prominent saxophonist Keith Anderson, both of whom credit Wilson with getting them started as musicians. Although he spent time playing in numerous professional jazz bands throughout his career, he knows his greatest legacy is that of music educator. Now 79, James Wilson spends most of his time at his Southern Dallas home repairing instruments and working on a new hobby – building lamps. He hopes to sell the lamps and use the money to reopen his Oak Cliff music store, Downbeat Music Company, which he operated for many years. But the urge to teach is still alive and well in James Wilson and any given Saturday you’ll find him giving free lessons to DISD students who lack the means to afford individual instruction. James Wilson continues to inspire. This couple, Shinji and Junko Otsu, are incredibly devoted jazz fans and can be seen at virtually every jazz performance in Dallas. Born in Japan, they love their adopted country and their Dallas jazz family. Shinji Otsu played trumpet beginning in second grade and continued through college where he played with a jazz combo. Junko is an accomplished artist who has painted many of our great local jazz musicians. Her abstract impressionist style and love of jazz has resulted in her “Jazz Players Series” which some artists have used as cover art for their CD’s including Sandra Kaye, Tatiana Mayfield, and Buddy Mohmed. Her work will be displayed in June at First United Methodist Church on Ross Avenue in front of the DMA. They volunteer at many jazz events around the City and work tirelessly to help keep jazz alive in our community. John Strauss hails from Buffalo, New York and his love music and jazz began in childhood. He played saxophone in his own band in high school and college, but decided to study physics and economics which led him to a career in banking and institutional investment firms. He never lost his love of jazz music, and has been a great supporter of jazz programs in the community including Sammons Jazz, the School of Music at UNT and a number of other important jazz programs. His greatest joy outside of his family is listening to great live jazz music and he can be found enjoying jazz performances several times a week throughout the city. He has begun piano lessons to keep his musical chops sharp and still picks up his saxophone once in a while.